Is your organization's climate friendly or unfriendly to diversity? Does your organization say you are welcoming to diversity when in reality you are not? As a leader, it is imperative all team members learn how to communicate inclusively and work effectively across ALL dimensions of diversity. "Treating everyone the same" may sound logical initially, however it is a plan for disaster and colossal failure within diverse environments. Leading with an inclusive mindset is the key to building culturally inclusive teams and work environments. Leading with an inclusive lens begins with a willingness to communicate, behave, and think differently when interacting with people from diverse backgrounds, cultures, and experiences. Organizations and teams have become increasingly multicultural, multiethnic, multilingual, and multifaceted. Unfortunately, most people have never been trained to lead and communicate appropriately and effectively across the various dimensions of diversity. In this engaging and thought-provoking presentation, Dr. Jermaine teaches leaders and frontline employees how to behave, communicate, and think with an inclusive lens to create an environment that's respectful of everyone. Identifying leadership blind spots is a key component to moving forward in this area. It's important to engage in courageous conversations about diversity-related issues. Dr. Jermaine teaches people how to address sensitive issues without feeling awkward, guilty, fearful, or uncomfortable. As a masterful storyteller, Dr. Jermaine will share real-world examples, provide practical tips, and highlight inclusive practices so everyone can excel from the inside out. His best-selling book, Be Diversity Competent! The Art of Communicating Effectively with Diverse People, is the foundation for this presentation. 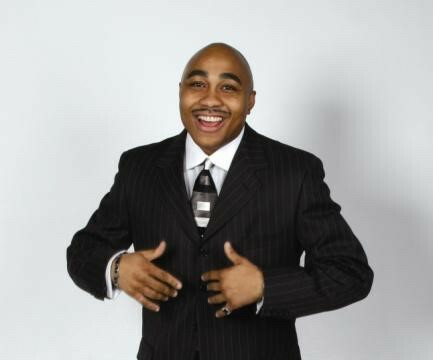 Dr. Jermaine unapologetically and unselfishly provides practical insights and tips on how to thrive and succeed based on his successes and failures as an entrepreneur, sales manager, college professor, filmmaker, author, professional speaker, and leadership coach. Through his entertaining,engaging, and thought-provoking presentations, you will learn how to recharge, refresh, and renew your personal and professional batteries so you can thrive and succeed.